Hello dolls! Have you all had a nice Christmas break? 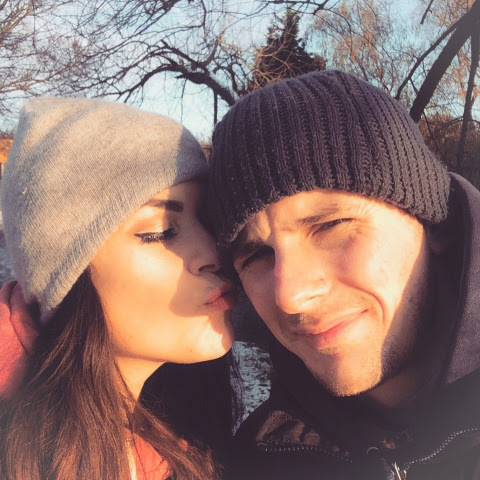 We've been having a lovely time relaxing after a hard few months, and I've been more interested in catching up with family and friends, scoffing Quality Street and watching Christmas movies than anything else, so my blog and Twitter feed have been really quiet! My holidays began after the 22nd, it was my last day in the office. For once, things were quiet so I managed to tidy all my drawers and clear down my email (I may have been a bit trigger happy deleting things, but I was determined to start the new year with 'inbox zero'). 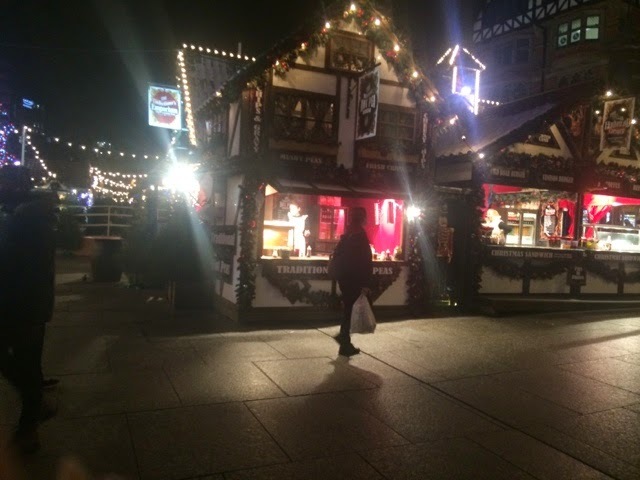 After work, I met up with Seb in town and we went around the Christmas market for a festive mulled wine and a look at the stalls. It looked really pretty and was such a great way to kick off the holidays! This year, we picked up three: Bowland Christmas Cake Cheese, which is just what it sounds like - a fruit and cinnamon infused Lancashire cheese that tastes extraordinary, Hennart Laubin au Fenugrec, a semi-ripe French cheese dusted with fenugreek and Gjetost - a Swedish cooked whey that's brown, sweet and caramelised tasting. 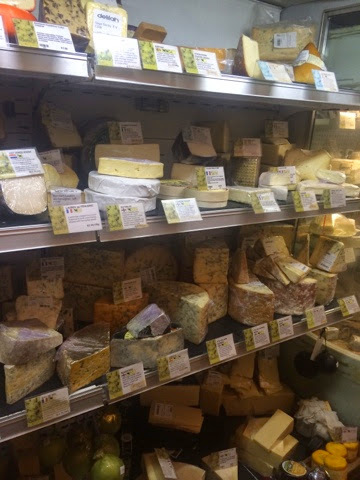 Mmm, cheese heaven. I could spend hours just browsing all the amazing artisan foodstuffs in there. 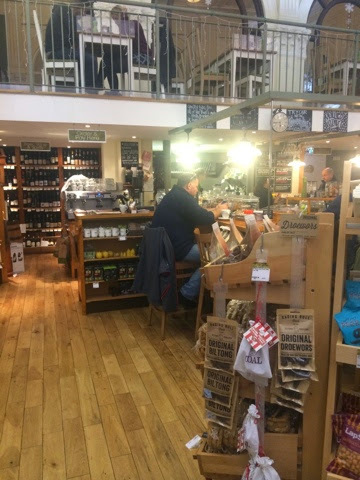 The shop is just great, and there is a cafe in there too, so make sure you stop by if you ever come to the city - its definitely one of the foodie highlights. The next day, we dashed around doing some last minute prep (getting the Christmas alcohol in being the most important!) and in the evening we popped round to our friends Adam and Katie's place for some mulled wine and a festive catch-up. On Christmas Eve, Seb was back at work for one day, so I set to work wrapping all his gifts while he was safely out of the way! Normally, I'm super-organised with Christmas and start the present buying early, but this year with all the stress leading up to the house move, I've felt the panic of the last-minute shopper and wrapper. 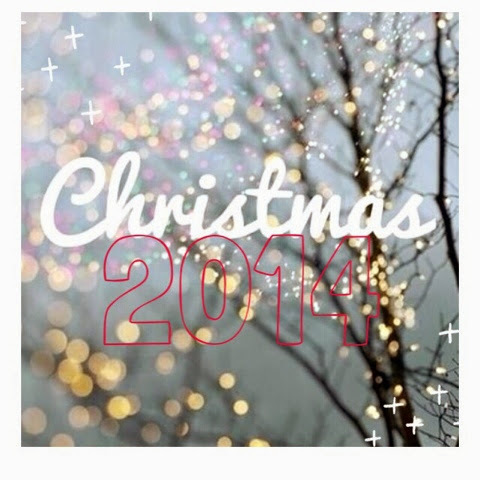 I stuck a Christmas movie on, made a pot of Macaroon Coffee and got busy with the sellotape. It took me from 8 o clock until 10.30, so a pretty marathon session. 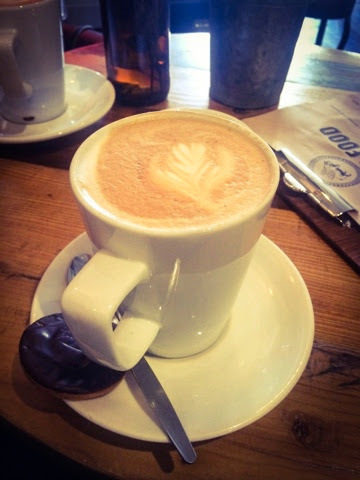 That done, I met up with my mother in law for lattes and a gossip at Cured, a new cafe that's opened near where I live. Just had time to finish a few chores before Seb got out of work at one, and when he got home we headed over to my mother in law's house to see his family. We had to get home and to bed before Santa came, so we didn't stay late but we had a great time getting together with everyone. Christmas Day dawned and we were up at seven to stick the cartoons on, even though there are no children to insist on it (we're just big kids ourselves). We made a pot of tea and cuddled under the blankets until it was time to get up! 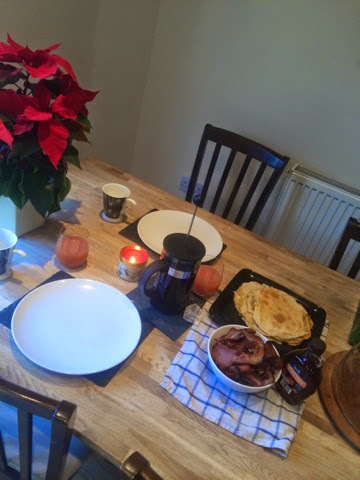 We made a leisurely breakfast with a bit of Classic FM playing in the background - pancakes, crispy bacon and maple syrup - yummy. I really enjoyed having a bit of calm, chilled out time together, it was the perfect antidote to all our stress. I'd been looking forward to that moment for months. After breakfast, we headed over to my sister in law's for a glass of fizz and to bring our little niece and nephew their presents and spend some time with them. When we came home we opened our gifts (more on that later!) 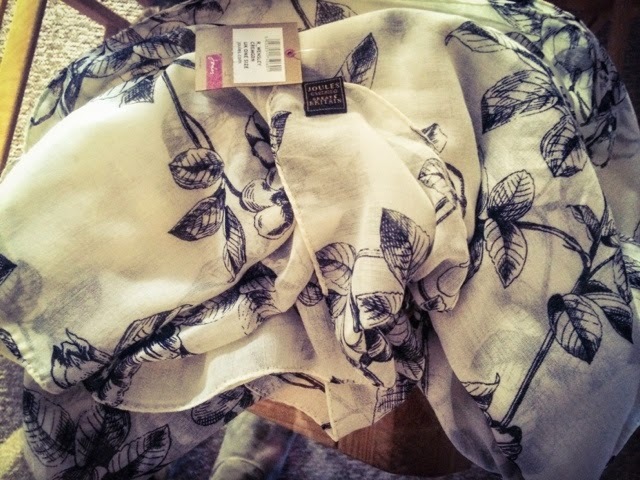 - I was very lucky indeed and spoilt rotten by my lovely husband. I am getting to that advanced age where it genuinely is nicer to watch other people open theirs though, and I really hope he liked what I'd chosen for him. Then we left to go back to my mother-in-law's for the main event - Christmas Dinner! Her tree was massive and very tastefully decorated - far too tastefully I think! We'll have to gift her some tacky ornaments to bring the tone down slightly next year. 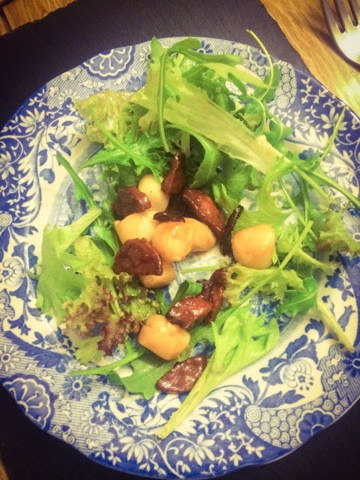 Seb and I made the starter, which was pan-fried scallops and chorizo on a bed of peppered rocket. It was actually the first time we've cooked it and it turned out really nicely, so I think it might make a dinner party appearance soon. Then the dinner itself! 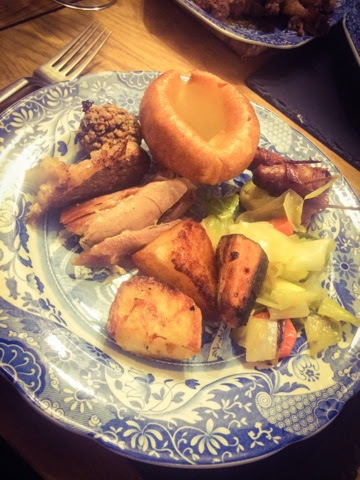 For the last couple of years, we've had one of those bird-in-a-bird-in-a-bird things, and although they've been nice, we really missed having the traditional turkey, so this year, we went back to that - with roasties, leeks, and of course stuffing and brussels! We also had a massive side of roast beef as well, so we were really spoilt, although I tried not to eat until I couldn't move. I'm not a massive fan of Christmas pudding, so I just opted for some ice-cream instead. 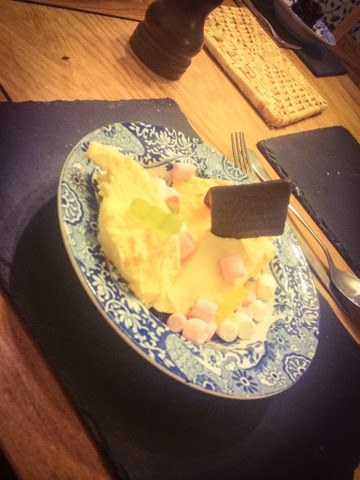 I got asked if I wanted jelly sweets and marshmallows on top, which brought out my inner over-excited child. After all the food, we retreated in front of their log burner, which is the warmest, toastiest thing ever - I was in total bliss. Then my sister in law and her fiancee and his parents came round for a drink as well, so we had a little party. On Boxing Day, we drove out to see my Dad and step mother Clare, who were having a party. Her sons were up and my Nana and some of my aunties and uncles, so it was really nice to see them. 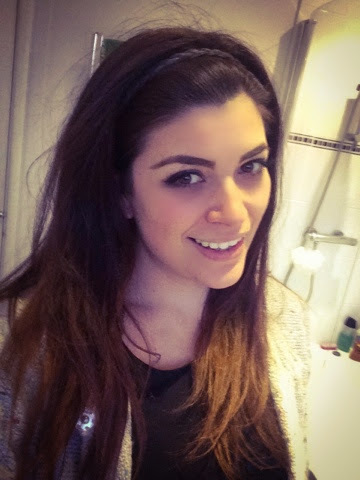 I really should have taken some more pictures, but the only one I managed was this sneaky bathroom selfie to show off my new favourite hair style - a plaited crown with wavy, don't-care ends! As you can see, I didn't massively glam up, it was very much a jeans and jumper Christmas this year. 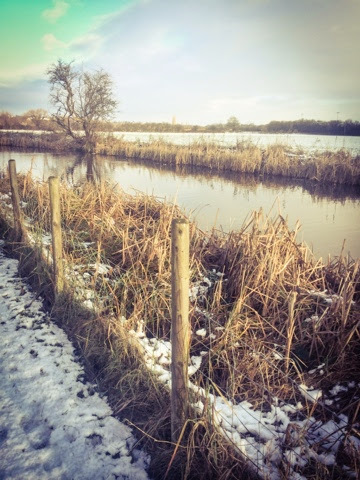 As we were driving back up the A1, it started to snow! I'd heard it might but I didn't really believe it, so it felt surreal when big white snowflakes started drifting down. 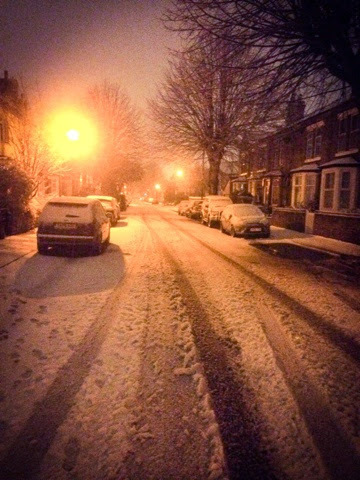 When we got home, our street was covered in a powder of snow, which all looked magical glinting under the street lights. 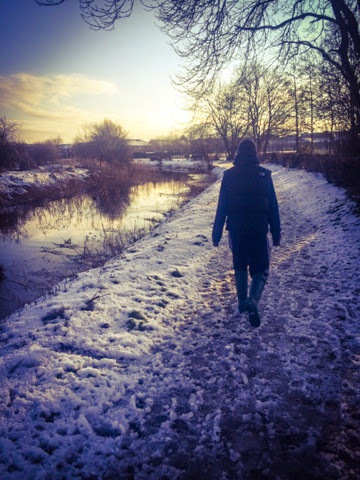 The next day, our friend Phil was coming over for afternoon tea, so we popped out in the morning for a magic, snowy walk to collect some firewood. 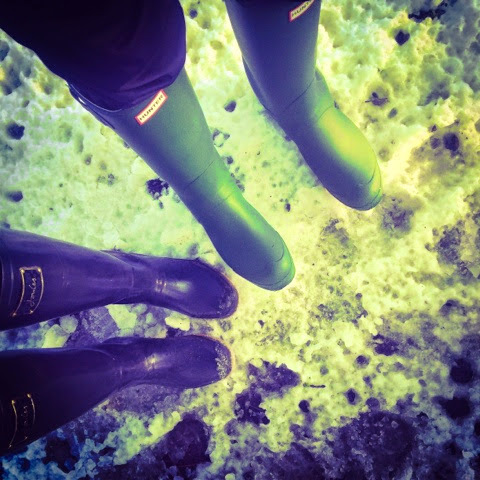 I absolutely love the look of the scenery when it snows and our winter walks are great, so I took a few snaps of me and the husband messing around in our wellies. 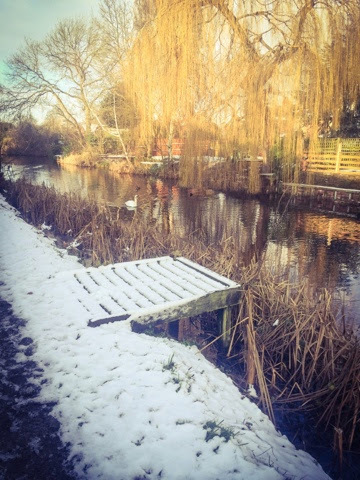 The canal at the bottom of our garden looked especially magical with all the ice and snow, and a few swans and ducks paddling up and down. 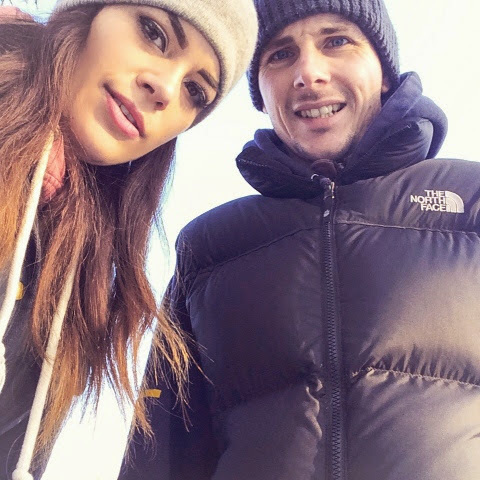 The next few days, we're just making time to see more of our families, catching up on box sets and books and, of course, eating our body weight in cheese and chocolate. We've had a nice open fire going in our new fireplace and just been really enjoying this time off together. 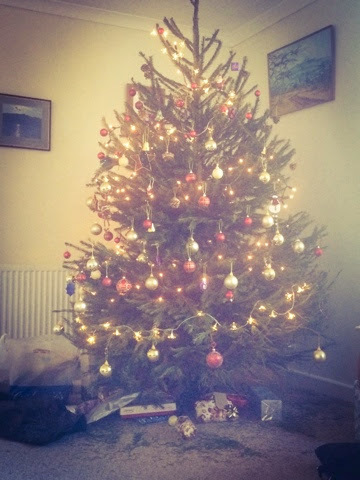 Its been a cosy, quiet, relaxed Christmas - just perfect, just what we needed. 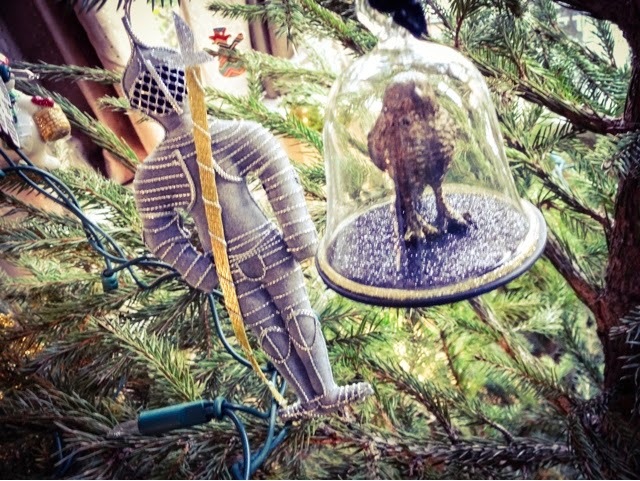 And of course, I've been admiring my new tree decorations. Each year, Seb and I compete to find the best ones to put in each other's Christmas stockings, a tradition he started on our first year together. We've found some pretty amazing ones, but these are my current favourites - an embroidered knight from the gift shop at St Michael's Mount and this gorgeous robin in a glass bell jar, from Marks and Spencers. Inspired by some of the posts I've been seeing, especially Magpie Jasmine's, I've decided to show what I very gratefully received this year....I know people have different opinions about this, but I love reading these kind of posts and Jasmine's made me feel very festive. Sorry about the poor quality snaps on most, my camera lens died so I switched over to quick iPhone snaps instead! 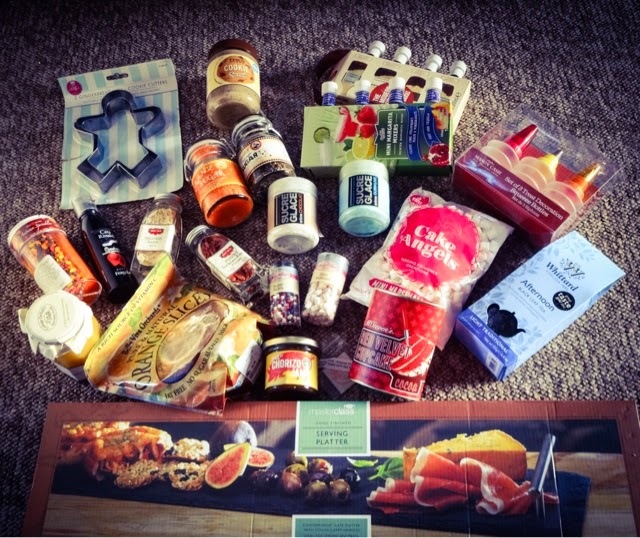 Warning: there are a lot of foodie items! 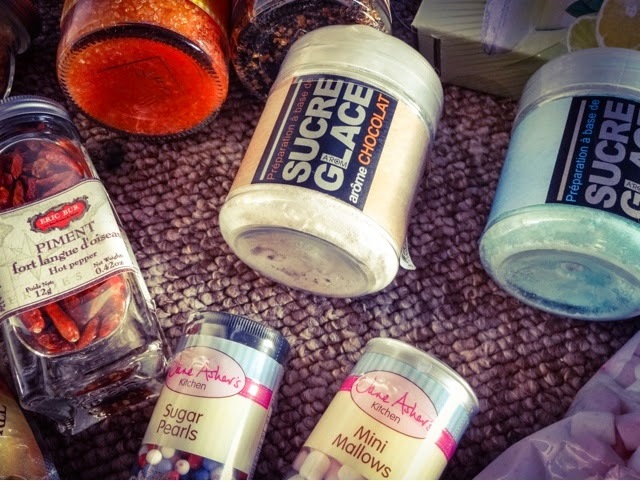 Each year, Seb and I do each other a stocking of little gifts, and I mainly got sweets and cooking stuff, which made me very happy. Look at all these sweeties! I think its safe to say my pre-Christmas diet is now down the pan. 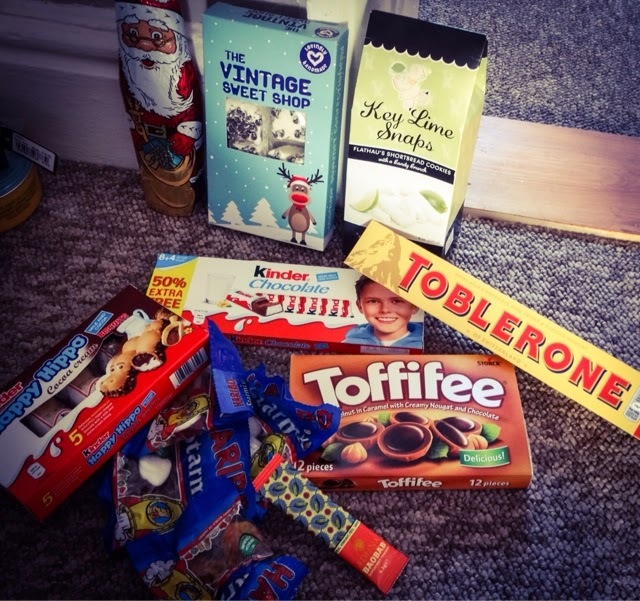 I got Kinder and Toffifee chocolates, and lots of little bags of Haribo Starmix, which will keep me going for a while! It wouldn't be Christmas without some Toblerone and a chocolate Santa. I also got some cinnamon marshmallow sweets and some Key Lime cookies, which I haven't tried before and am already drooling over. 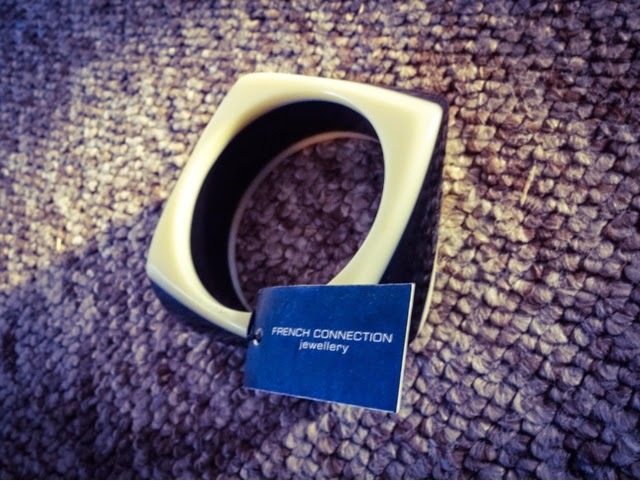 I also unwrapped this stylish bangle from French Connection, its a black and white stripe design and really oversized, which will look great with winter sweaters. 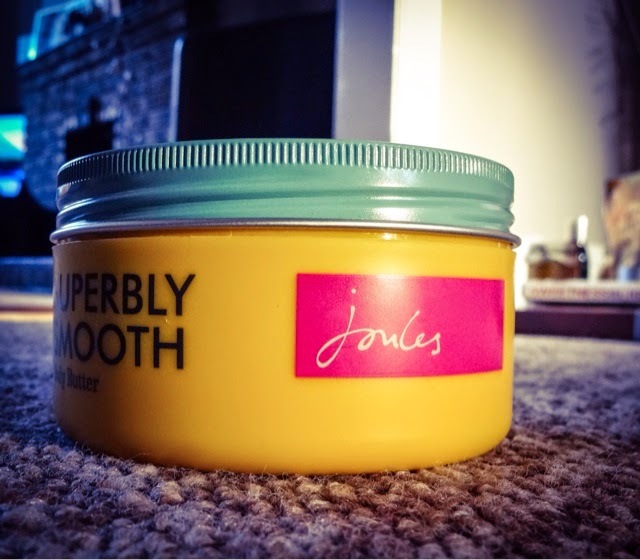 Some Joules Body Butter, I'm a big fan of the brand and I didn't realise they did bath stuff - this is a big tub and will last me for ages. 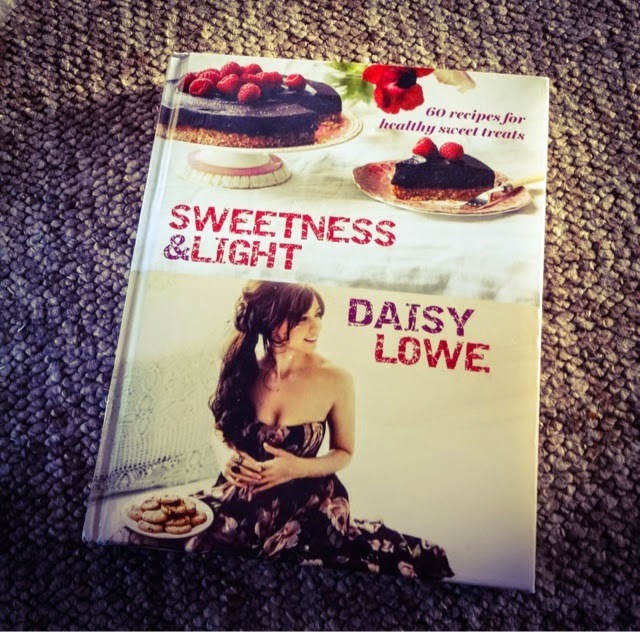 I was super excited to unwrap this Daisy Lowe cookbook, 'Sweetness and Light', which I've wanted for ages. The recipes are all tempting but healthy, replacing the sugar and gluten with other alternatives. I bake a lot, so I was really interested to try out some new recipes that aren't quite as bad for you.I'll be trying a few of these and reporting back! I got a massive haul of little foodie bits as well, including new icing nozzles, a slate serving platter, some Chorizo Jam (already tried it and I can confirm it goes so well with cheese!) and a very cute set of mini margarita mixers in different flavours. 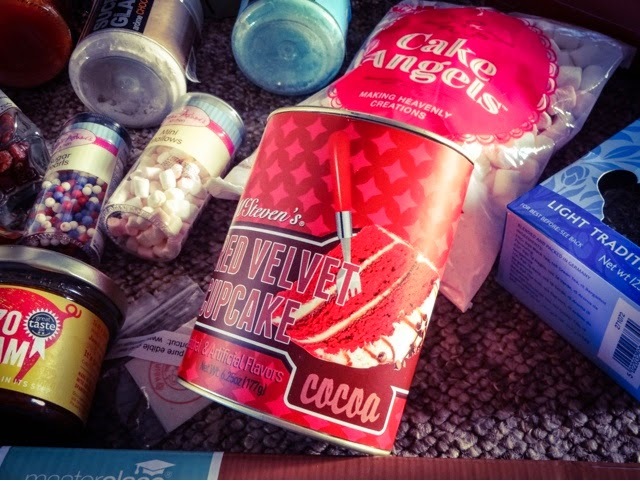 This Red Velvet Cupcake Cocoa mix looks delicious, so I'm also excited to try that topped with a few mini marshmallows! I also got these very cool flavoured sugars - one is Chocolate and the other is Marshmallow flavoured! I'm still working out how to use them. 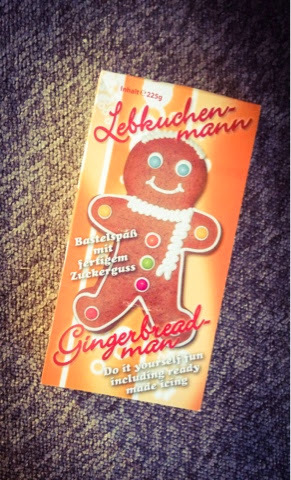 Then there was this giant gingerbread man kit that you decorate yourself - just the thing to go to work on with my new icing tools! 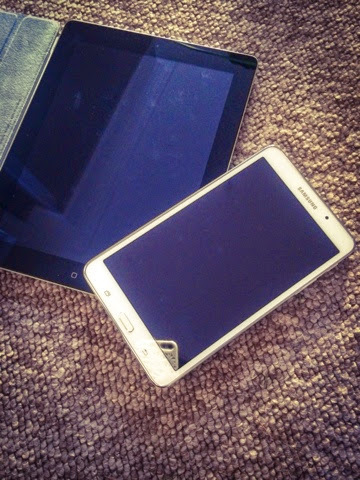 This year, Seb and I decided to get our main presents together and go in halves on a couple of things, so I already knew what these were - an iPad and a Galaxy 4 mini tablet. It'll be much easier to take my blog on the go now. Now I'm looking forward to the ability to watch Netflix in bed. We don't have to fight over who gets to use the laptop anymore, although I'm secretly planning to commandeer the Galaxy mini tab! My mother in law got me this fantastic grey hand knitted snood, which I absolutely love. Its just my style and I've hardly taken it off since. 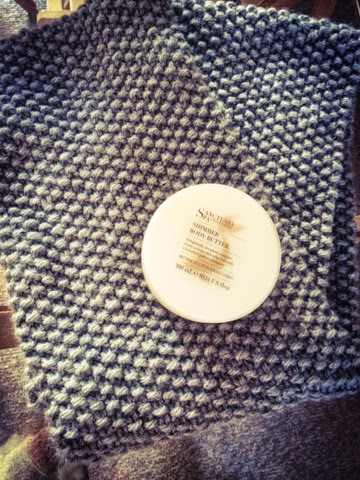 I also got this lovely Sanctuary Spa Shimmer Body Butter, so I'll be very smooth-skinned in the new year. And these blue chino trousers, which will be great with all my trademark grey sweaters! 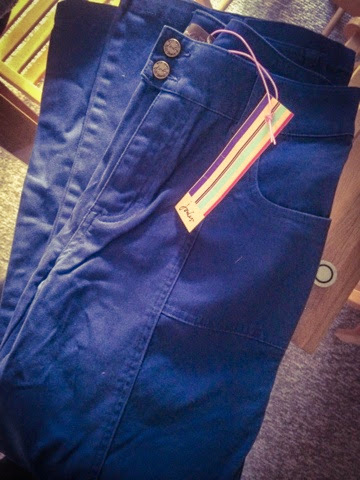 Joules is really nice and casual and I love it for my kicking around, laidback weekend wardrobe. 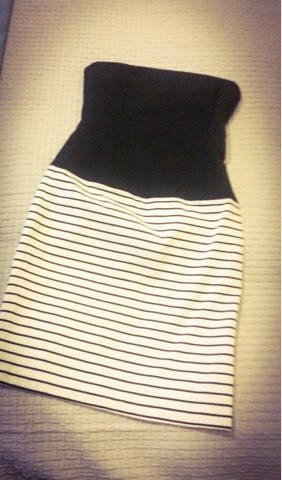 I also got this gorgeous dress from Zara. I love this so much- its a kind of woolen fabric, and I think it'll look great dressed up with heels or even layered with a white shirt, tights and flat boots for a smart daytime look. 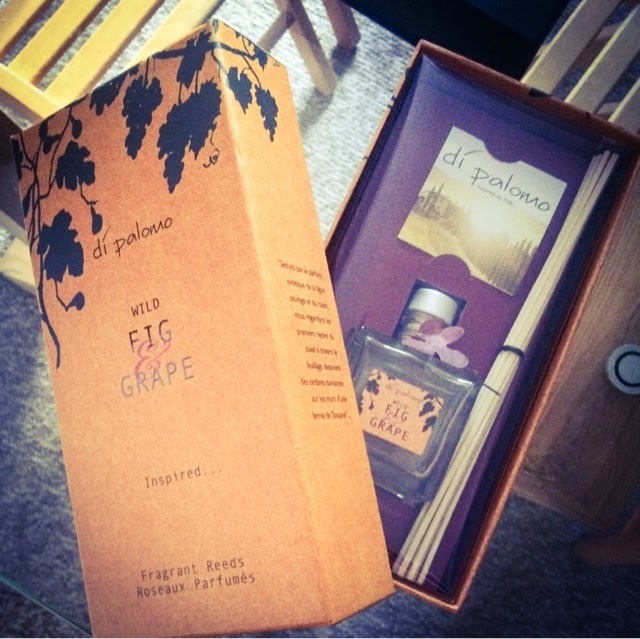 This beautiful Wild Fig and Grape room diffuser smells heavenly...I currently have a Frosted Berries one which is making my living room all scented, and its the first time I've used one. I'm really impressed at how well it works so I'm pleased to have one to use after it runs out. 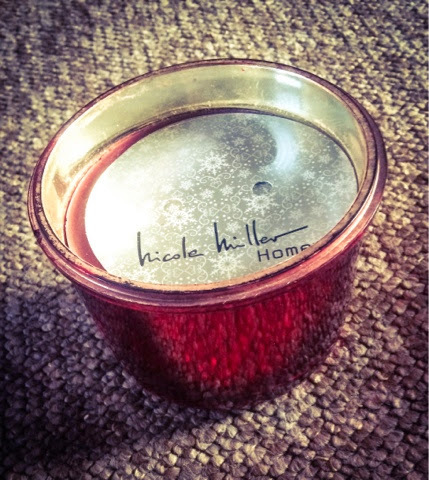 Each year, I insist on having a Christmas candle to add to the festive atmosphere, and with the new house this year I was keen to continue that, so I was really pleased to unwrap this big Nicole Miller candle in a lovely red glass holder that smells of berries and cinnamon. So yum! 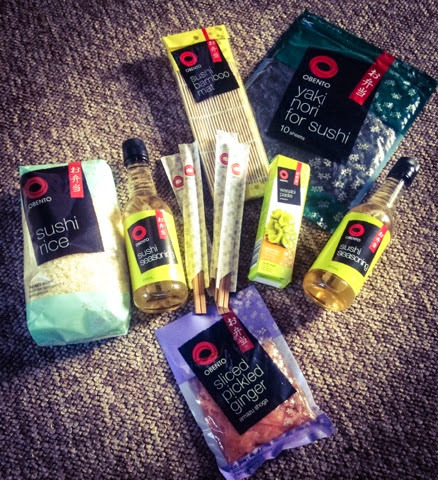 This deluxe sushi making kit from Obento came with absolutely everything you need, including the little rolling mats - I've always wanted to make sushi so now I have no excuses! I'm really looking forward to trying this out. 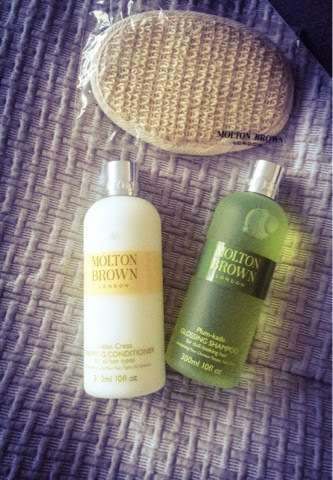 Seb gets me something from Molton Brown each year, because I'm just addicted to them. This year, I got the Plum-Kadu Shampoo and the Indian Cress Conditioner with a little loofah. I've never tried the haircare stuff so I can't wait to use this. 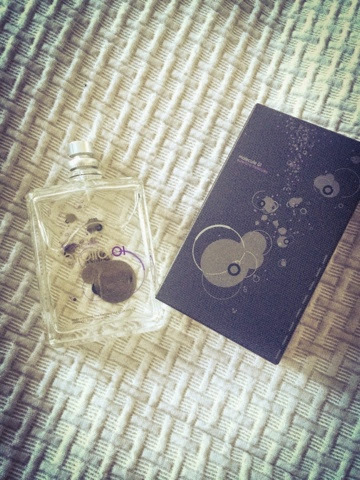 He also got me the Escentric Molecules 01 perfume, which I have wanted for such a long time. Have you heard about it? Its a perfume that uses only one molecule, that interacts with your body's chemistry to produce a unique scent. 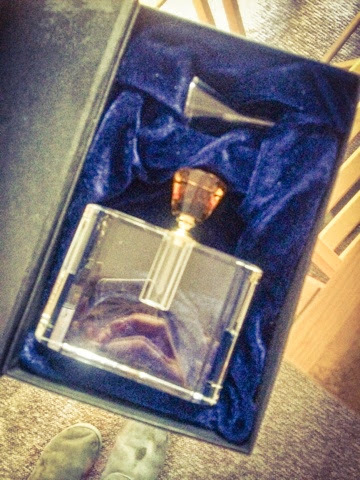 I know it smells different on everyone, but I smelled it on a friend and adored it, so I've always wanted to try it and get my own bespoke scent. I hope it smells as good on me! 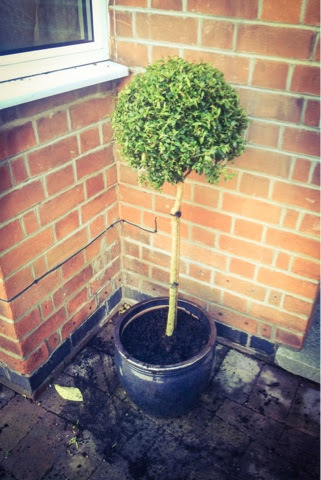 I also got this little topiary tree in a metallic pot. I've always wanted to have one of these to sit outside the front door and with the new house, this is so perfect. You wouldn't think a tree could almost reduce you to tears, but there you go! And finally, there's someone else that was the best Christmas present I could have hoped for... this is the new member of our family! 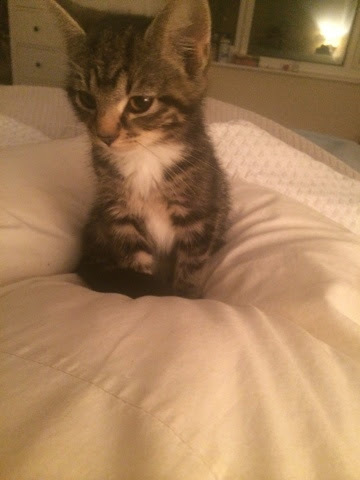 A little lady that has really made our house into a home. We didn't exactly unwrap her for Christmas but she definitely counts as a great gift. So, that's my little Christmas round-up so far...I hope you've all had a wonderful holiday, and I look forward to getting back to some more postings soon.